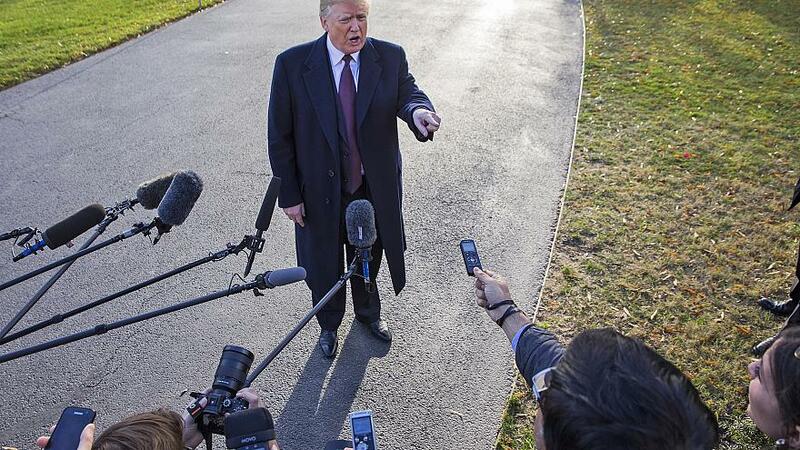 WASHINGTON — Responding to questions about Saudi Arabia’s role in the murder of Washington Post journalist Jamal Khashoggi, President Donald Trump suggested Thursday that the U.S. can’t afford to punish foreign nations for killing people. NBC and other outlets have reported that the CIA recently determined, reportedly with “high confidence,” that Saudi Crown Prince Mohammed bin Salman ordered the murder of Khashoggi at a Saudi consulate in Turkey in early October. Trump rejected that characterization in an exchange with reporters in Palm Beach, Fla., where he is spending the Thanksgiving holiday at his Mar-a-Lago resort, but said the American relationship with Riyadh wouldn’t be affected even if the crown prince is responsible for Khashoggi’s death. The aftermath of the killing bothered him, he said, but he argued the CIA gave him conflicting information about the act. By design, intelligence community analyses don’t reach conclusions. Instead, analysts provide evidence and a degree of confidence about their judgments, along with information about any uncertainties. After Trump tweeted a statement of support for Saudi rulers Wednesday, Washington Post publisher and CEO Fred Ryan slammed Trump in an op-ed. “A clear and dangerous message has been sent to tyrants around the world: Flash enough money in front of the president of the United States, and you can literally get away with murder,” Ryan wrote. Financial transactions between the two countries amounted to a negative number in 2017 — about $161 million in Riyadh’s favor — according to BEA. Saudi Arabia spent about $9 billion on U.S. arms between 2013 and 2017, according to the Stockholm International Peace Research Institute, but Trump has said erroneously that Saudi rulers are ready to spend many multiples of that in the coming years — up to $450 billion in goods, including $110 billion in military equipment. Saudi Arabia’s annual gross domestic product has been below $700 billion in each of the last three years.